There is a particular Christmas tradition that I’m not terribly proud of that I reluctantly (and privately!) call the Forgotten Ones. It’s this horrible name for an equally horrible tradition of forgetting one or two people on my shopping list. These people are almost always people who I don’t usually see until after the holidays but I always mean to put something aside for them. It’s usually Christmas Eve (and here we are again, proving that correct!) when I realize I forgot to grab something for them. The good news: I have another week. The bad news: weirdly, after Christmas everything in store seems tacky and cheap. I hate getting Christmas themed gifts for people after Christmas because it feels like they can’t use them. But generally the Forgotten Ones are people you wouldn’t normally buy a “practical” gift for (meaning you have no idea what they would actually want for Christmas) so Christmas themed gifts are like the safe bet. This dilemma has haunted me for years. That’s why when I was spending my Christmas Eve browsing some of my favourite blogs and came across this amazing tutorial on This Heart of Mine I realized it was the perfect project for a week off, and the perfect gift idea! 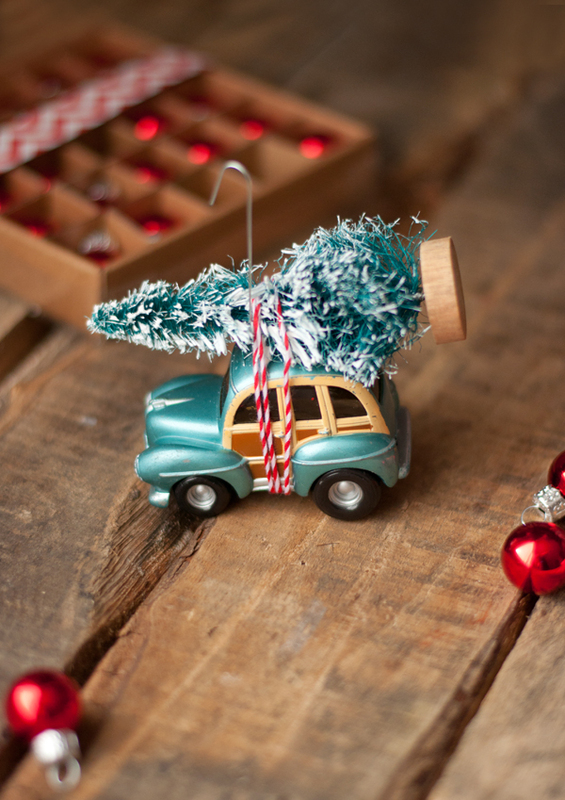 My favourite thing about this DIY is how the little car with a tree tied on top reminded me of years of December hunts through tree farms for the perfect Christmas tree with my family. 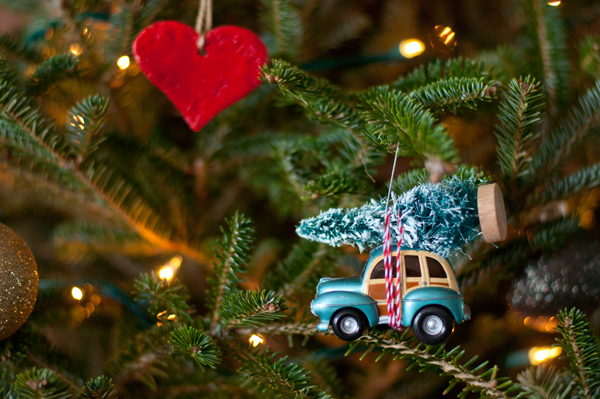 We would always pile into all our vehicles and leave with no less than two or three trees, and often some stray branches that my grandma insisted would become wreaths (but which, as my grandfather would protest each year, would sit in the garage until they dried out and were thrown out around May). Gifts that bring back little memories are always perfect. So first step, what materials do we need? 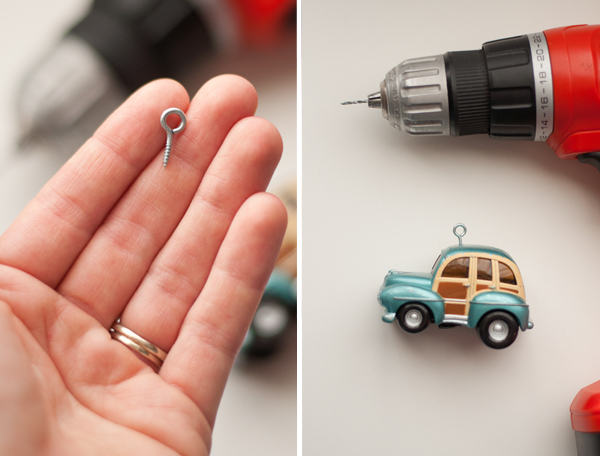 Like all good DIYs, this one only needs a few, easy to find tools! You can find all of these things (maybe not the drill, depending on your craft store!) at a local Michaels or something similar. 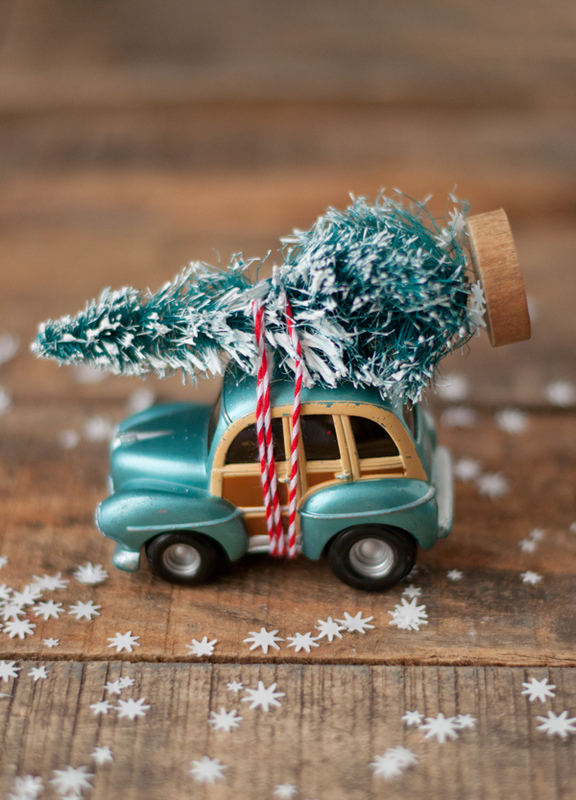 Depending on your family car you might want to customize it and find a Hot Wheels toy at the toy store that looks like what you drive (if you’re making it for yourself) or go for something vintage and cute if you’re giving it as a gift! First step, use your drill to attach the screw eye into the top of the car. 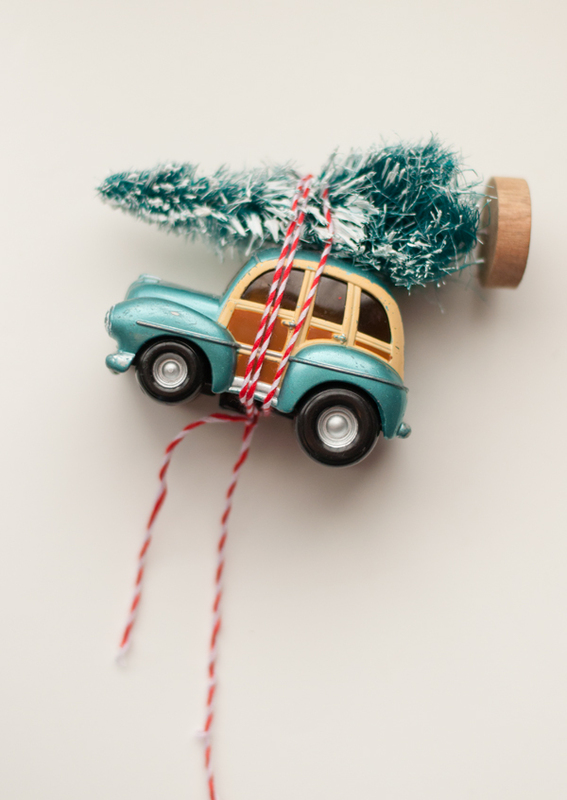 Next, use the twine to attach the tree to the roof of the car. The branches will disguise the hook so you won’t even know it’s there! I love the idea of giving christmas tree ornaments as gifts. My parents always gave my brother and I a new Christmas ornament each Christmas that we would pack up and use on the tree the next Christmas. When we grew up and moved out, my mom gave us all of the ornaments we’d collected over the year. My first Christmas in my own place I decorated a tiny Christmas tree (it was actually a mini tree for outdoor, but I counted it) in my dorm room with all these little ornaments and it felt just like home. Now that I’m a little older I’ve managed to move up in the world and purchase a full size grown up tree and some matching (woah!) ornaments, and every year I decorate my tree with my gorgeous coordinated silver and pink ornament balls and mix in all my childhood ornaments that are absolutely ridiculous. It was a really wonderful tradition that I appreciate so much more now that I reap the benefits of all those fun memories every Christmas. I think this is the perfect gift for someone making their own traditions, like moving into a new home, starting a family, or leaving home for the first time!